Tuna and Chickpea Summer Salad is an easy and delicious way to make your next barbecue memorable! Easy to prepare, this savory side dish features tender chickpeas, flaky canned tuna, and zesty feta cheese tossed together into a hearty and delicious side dish. Whether you serve it alongside baked falafel sandwiches or an All-American hamburger, the Mediterranean flavors make this side dish an instant classic. In large bowl combine tuna, chickpeas, and olives. Toss to combine well. Add lemon juice and olive oil, and stir until combined. Gently stir in feta cheese, and season with salt and pepper. Chill 1-2 hours before serving; serve cold. 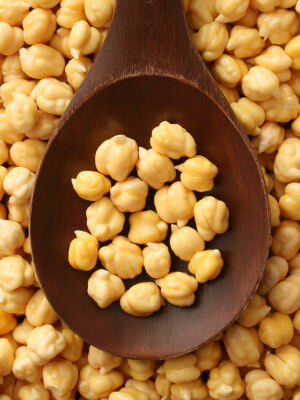 Back to the Chickpea Recipes home page. Very tasty. Love that it's simple. Was most definitely a winner. This is a fresh and appetizing summer salad that would be great served on a buffet or for a light lunch. Serves 2 as lunch.